Bacteriophage. 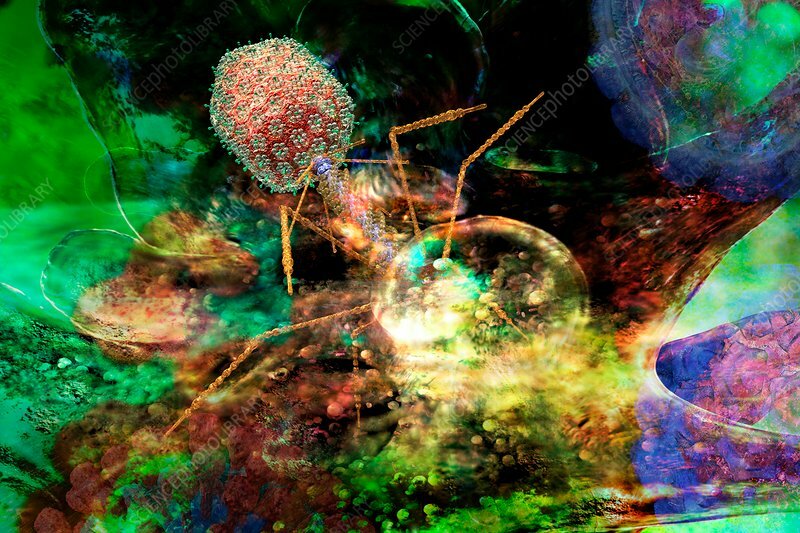 Abstract illustration of a bacteriophage, a virus that infects bacteria. A bacteriophage injects its genetic material into a bacterium. These genetic instructions are used by the bacterium to build new bacteriophages. The new bacteriophages accumulate and burst out of the bacterium, killing it.